Get here the details about FTII SRFTI Entrance Exam Coaching 2018 (JET 2018) such as course syllabus, fees, eligibility criteria etc. 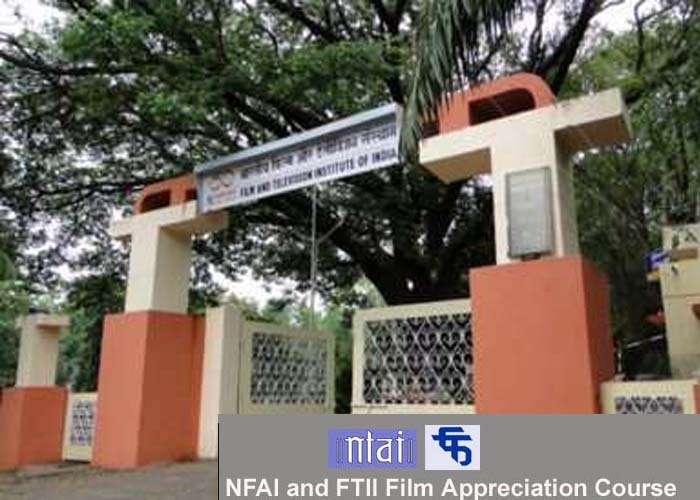 Film and Television Institute of India (FTII), Pune and Satyajit Ray Film and Television Institute (SRFTI), Kolkata are two prominent film institutions known for polishing raw talent in the film and TV industry. They offer courses in cinematography, screenplay writing etc. With such powerful goodwill and known for their quality of knowledge, unlike every year, this year both the institutions are conducting admission process together through a common entrance exam JET 2018- 2019. Since this will become more competitive, here is the guideline that will help anyone who aiming to get admission in any of this institution. Before the guidelines, here is an overview of all the courses offered by both the institutions in order to get a better understanding for making a choice before filling out the application form. Direction & Screenplay writing, acting, editing, Cinematography etc are offered under this degree. These courses are based on Choice Based Credit System under which the academic calendar is divided into two semesters and each course has a value 16-24 credits. Direction & Screenplay writing – This course will help the student to learn the art of direction and apply creativity through writing using cinematic expressions. This course will be of three years spread over six semesters with the class strength of ten students. Cinematography – This course will teach the student to beautifully play with concept of Time, space and causality in light and dark’ that gives birth to charismatic images. Students learn to balance between technique and creativity. This course will be of three years spread over six semesters with the class strength of ten students. Editing – This course encourage the students to develop their own style by learning innovative applications and experiments. It makes them conceptually rich by engaging them in various forms of cinema. This course will be of three years spread over six semesters with the class strength of ten students. Sound Recording and Sound Design – This course is an amalgam of technology and creativity. This course hones the skills of students that help them to analyse the sound for further development. This course will be of three years spread over six semesters with the class strength of ten students. Art Direction and Production Design – This course cultivates a perception and indulgence in scripts as an art director. They learn the basics of filmmaking in order to concrete their concepts. This course will be of three years spread over six semesters with the class strength of ten students. Acting – This course is to prepare students for the fluctuating scenario of the industry. The course rekindles their spirit that will help them to achieve excellence. This course will be of two years spread over four semesters with the class strength of ten students. Feature Film Screenplay Writing – This is the PG certificate course that trains screenwriters for intense cinematic approach through dramatic writing accompanied by audio-visual design for narrative fiction. This course will be of a year spread over two semesters with the class strength of ten students. Direction, Electronic Cinematography, Video Editing and Sound Recording & Television Engineering are some techniques offered by the institution to impart knowledge about the equipment’s of TV industry. The courses are conducted in three phases- introduction of the course, development of the skill and application of the concept. Direction – This course demonstrates the art of story-telling, packaging innovative ideas for TV productions while trains them in writing and directing programmes. This course will be of a year with the class strength of ten students. Electronic Cinematography–The course focuses on the mixture of art and technology with the creative use of lens and light. It allows students to explore innovative ideas to apply in concepts. This course will be of a year with the class strength of ten students. Video Editing – This course will help the student to assess sound and rhythm combination in TV shows, while gaining knowledge of other aspects of television production. This course will be of a year with the class strength of ten students. Sound Recording & Television Engineering –This course teaches students to explore various techniques in order to create innovative soundscapes. This course gives a better understanding of technical issues. This course will be of a year with the class strength of ten students. Reality Check – It would sound bitter or demotivating to some people, but before one aims to apply and get admission in these institutions, they must clear the eligibility criteria set up the institution. The Institution seeks to make certain grounds mandatory for the applicant that helps him/her to gain knowledge in a better and more understanding manner. – Here is a list of eligibility criteria that one must clear in order to give JET, 2018. In order to get PG Diploma in Direction & Screenplay writing, acting, editing or Cinematography, the applicant must hold a bachelor’s degree in any discipline from a reputed university. For PG Diploma in Sound Recording and Sound Design applicants should have physics at 10+2 level and a graduation degree in any discipline from a reputed university. For PG certificate course in TV direction, the applicant must have a Bachelor degree in any discipline from a reputed university. For PG certificate course in Sound Recording and TV Engineering, the applicants should have physics at 10+2 level and a graduate degree from a Reputed university. For Art Direction and Production Design aspirers, they must have a Diploma or Bachelor’s degree in applied arts, architecture, painting, sculpture, interior design or any other related fields in fine arts. For Direction, Electronic Cinematography, Video Editing the applicant must hold a bachelor’s degree in any discipline from a reputed university. For Sound Recording & Television Engineering the applicants should have physics at 10+2 level and a graduate degree from a reputed university. Signal is Green – The application form is available online from 24th December, 2017 to 25th January, 2018 till 5pm. Within this one month, fill the form online by uploading the mandatory scanned documents and paying the application fees. Remember the application fee is to be paid through online medium only. For General and OBC, the fee is Rs.4000 and Rs.1250 for SC, ST and PwD. Start Preparing – Once you are done with application, start preparing for the JET 2018. The exam will be a written examination of three hours. The medium of language will be either English or Hindi – the applicant has to select while submitting the application. It will be a 100 marks examination out of which 50 will be MCQ’s to be marked OMR sheet and 50 will be subjective. The exam will test your General Aptitude that includes mathematical reasoning, Logical reasoning etc and Area specific Aptitude based on the field applicant chooses. Do an in-depth research about the syllabus and collect all the study material. Start solving sample papers from the books and from the Internet. Read newspapers and magazines in order to be updated with the current events. How to apply for FTII For FTII Entrance Exam 2017? You also receive a notification on your registered email address. Result – Once you are done with JET 2018, the shortlisted students will be called for the Orientation and Interview. The candidates will have to go through a medical test that plays a significant role in the selection process. The Final Merit list for FTII and SRFTI for 2018-19 will be based on the JET 2018 score, Medical Test, Orientation and Interview. Once the results are declared, the selected candidates will have to pay the fees of Semester 1 (for film course) and total amount (for TV course) in order to confirm their seats. The fees will not be refunded by the institute in any case. Once all this is done, don’t miss this opportunity. Learn, Explore and discover the hidden talents. What you actually want to become in Life? Sir i want to become an actor….. Bt is height matter to become an actor???? i have given the exam but i haven’t got the result , can i able to given FTII entrance exam ?